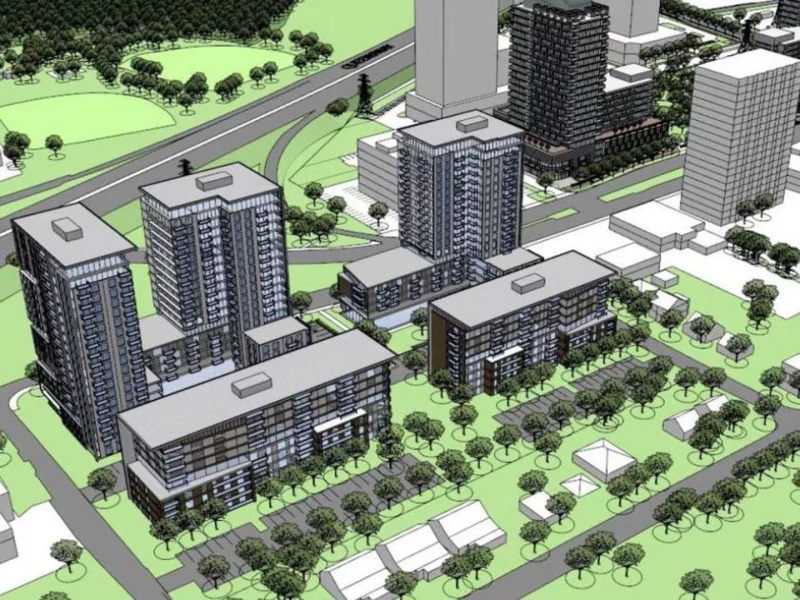 Ottawa’s planning committee has approved a zoning amendment to permit a complex of high-rise and mid-rise towers near the Westgate Shopping Centre, at 1354 and 1376 Carling Ave. There high-rise towers between 20 and 22-storeys would front on the south side of Carling Ave., about a block west of the shopping centre. Two eight-storey mid-rises would be at the site’s rear to help transition to the low-rise residential community to the south. 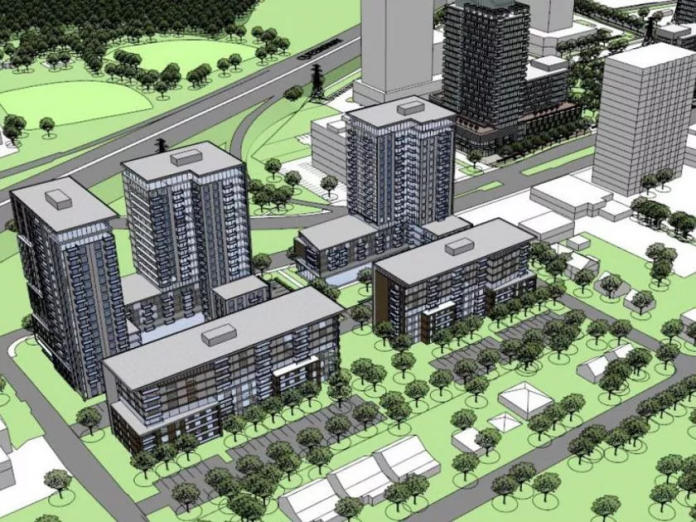 The redevelopment would add about 900 units to the site currently occupied by a Travelodge Hotel and Conference Centre, creating what the city calls in a news release “a dynamic mixed use area in the neighbourhood,” and building on the planned shopping centre redevelopment which city council approved in March 2017. 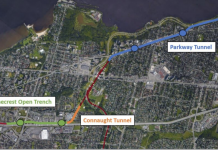 Halifax-based Holloway Lodging, which owns the current hotel on the site, intends to include hotel rooms, residential and commercial, as well as a large green space in the centre of the 1.88 hectare property. The planning committee also approved a plan to demolish two parts of the former Sisters of the Visitation Monastery, a designated Westboro heritage building. Half of the two-storey west wing and the entire one-storey connector south wing would be demolished for a proposed nine-storey apartment building that would connect with the heritage structure with a two-storey glass link. The original stone house was built in 1864 and 1865 and the three wings were added in the early 20th century, along with a chapel. The developer will need to complete substantial restoration on portions of the existing heritage structure before the new building’s construction can start. In other business, the committee approved a motion asking city staff to begin a comprehensive review of the city’s Official Plan with the aim of developing a new plan to address local priorities and changing community needs over the next two decades. Staff will bring forward a detailed work plan and budget for the review at the first planning committee meeting of the next city council term.